Hard Discounters closed the year with 14.1% of market share, compared with 14.3% in 2008 — a significant drop. 2009 has been a tough year for the Hard Discount sector, which, despite the recession and the boost given by the economic modernisation law in France, is losing ground. This month, Kantar Worldpanel publishes its benchmark report on Hard Discounters and explains the drop in performance of this retail channel after several years of growth*. Despite an ever-growing number of retail outlets and rising investment in advertising, the Hard Discount (HD) channel showed its first signs of fatigue just when the economic environment was beginning to improve at the beginning of 2009. This slowing growth in the first quarter was followed by eight months of decreasing market value share. Hard Discounters closed the year with 14.1% of market share, compared with 14.3% in 2008 — a significant drop. Despite the opening of new stores, the process of securing new customers has run out of steam. This year, the Hard Discount sector has not expanded its customer base, which has reached a ceiling of 72%. Some types of household have even abandoned the channel. HD customers allocate only 20.4% of their spending to this channel, with a decreasing average shopping basket and a stagnating frequency of visits. At the first signs of a more favourable economic context, French households have found their way back to the small Hypermarkets, a format that they appear to like and one that has also been boosted by some signs of dynamism. 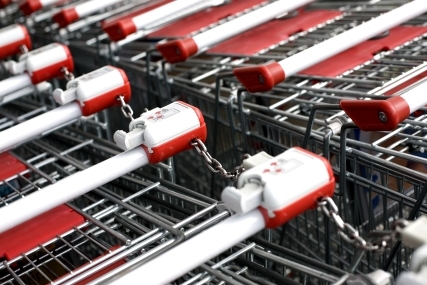 Leclerc, Carrefour Market, Système U and Intermarché are playing the “choice” card by opening or enlarging their small Hypermarket stores and this, coupled with a certain proximity to their customers, has meant a double-win for them over the last few months. In 2009, the Hard Discount channel suffered from competition from the classic retailers, to which it yielded some of its turnover. More than ever, the traditional retailers have played their Own-Brand card (Standard and Themed), which once again this year, have encroached on the territory of National Brands. The latter are also no longer the engine that drives HD and their value is no longer growing in this channel. HD is even losing ground to traditional Low-Cost Supermarket Brands, particularly to Carrefour Discount. The retailers that have come out best this year in general are the German HD retailers: Lidl and Aldi have succeeded in stabilising their market share, although they are not making any more headway. Lidl’s market share stagnated at 4.8%, as the store maintains its relatively low customer fidelity. The number of customers continues to increase, but the pace of customer recruitment has slowed down. The store’s approval rating remains the same, although for the last two years Lidl has lost its place as the preferred HD retailer in France to Aldi. As regards Aldi, with a market share of 2.5%, it is the only HD retailer to be winning over new customers and building customer loyalty at the same time. It has even won revenue over from Lidl! Meanwhile, the French HD retailers are suffering more from this situation and Leader Price, Ed (Dia) and Netto are struggling. Gaëlle Le Floch, Director of the Retail Unit at Kantar Worldpanel highlights: “Is this return by French households to the traditional retailers a sign that they have fallen out of love with Hard Discount? Although their approval rating had jumped to 6.4 points last year, this year it has dropped 1 point. While Hard Discount maintains its leadership in terms of price image, it is still in decline on this point, as it is on the ‘improves my spending power’ factor, the strongest decline in terms of its image. In a context in which traditional stores have applied the Economic Modernisation Law and have dropped their prices, the competitive advantage of Hard Discount retailers has lost some of its impact and undoubtedly explains the fall in their overall image. This would provide proof that when the price gap between traditional retailers and Hard Discount retailers is judged by consumers to be insufficient, the perceived difference in stores’ services and convenience grows. Just as the Hard Discount channel is losing credibility on the price dimension, it comes in for even greater punishment on the other factors…”. *The Kantar Worldpanel Hard Discount Report 2010 is based on a universe of large and medium-sized retailers (Hypermarkets + Supermarkets + Hard Discount + Minimarkets), and on a set of Fast-Moving Consumer Goods and Fresh Self-Service Products (Groceries, Liquids, Hygiene and Beauty, Cleaning Products, Dairy, Frozen Foods, Self-Service Cheese, Self-Service Cooked Meats, Self-Service Delicatessen and Smoked Fish), and on the year 2009 as compared to 2008.